We all knew it couldn't go on forever. After resetting API tokens for a second time, Falcon Pro has apparently earned the ire of Twitter. According to developer Joaquim Vergès, Twitter seems to have shut the application down. And just after it got that spiffy new icon! Twice now the developer has (allegedly) reset the API tokens for the app to free up space in the 100,000 token cap. This morning, Vergès reports Twitter seems to have shut him down. No new sign-ins are possible on v2.0.3, so the dev has posted the old version online. It's better than nothing, and will let previous users continue to run the app. 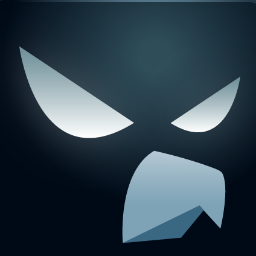 Falcon Pro has been unpublished from the Play Store while Vergès explores his options. As we understand it, though, Vergès wasn't actually resetting anything. Instead, he would generate a new application key whenever he'd near or hit the 100,000 token ceiling, and leave the keys for older versions of the app live. This gave Falcon Pro more than one active application key (and thus effectively more than 100,000 tokens), and is a pretty clear violation of Twitter's rules for the new v1.1 API, which at its heart was an attempt to end most 3rd party Twitter clients. Another possibility is that Falcon Pro simply blew through all its tokens in a few days, which would be crazy in its own right. This may be the end of the line for Falcon Pro, and a sign of things to come for any other client that would dare to challenge Twitter's own app. Update: We heard back from the developer, and as of now he's attributing the situation to an incredibly fast uptake of user tokens. His stats show about 32,000 downloads of the last version, which works out to 3.3 tokens per user with the new multi-account support. That sounds like a very high average, but even Vergès doesn't have all the details yet. He says he is going to take some time to sort through everything before making any changes. We are assured, though, that Falcon Pro won't be allowed to die.